Shake bourbon, blood orange juice and Cointreau with cracked ice in a cocktail shaker. Strain into a rocks glass over ice. 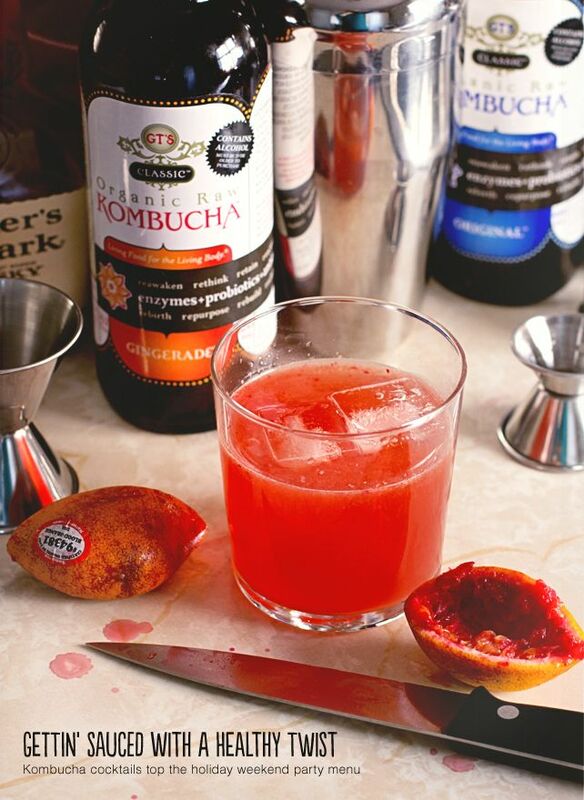 Fill glass with ginger kombucha.